MICO – Milano Congressi, Gate 3 “Viale Eginardo / viale Scarampo” entrance: get off at the “Amendola” stop – 700 m from the Congress Centre, or at “Lotto” approx. 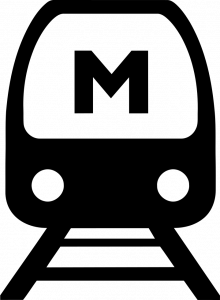 800 m.
The “MALPENSA EXPRESS” train service will take you directly from the airport to the centre of Milan in 40 minutes, arriving at the Ferrovie Nord “Cadorna” station. Here take the Red Metro Line 1 (Rho Fiera Milano direction). The “AUTOSTRADALE” or “AIR PULLMAN” bus service will take you directly from the airport to Milan Central Station in 60 minutes: then take the Metro Geen Line 2 (Abbiategrasso direction) and get off at “Cadorna”. Here take the Red Line 1 (Rho Fiera Milano direction). Take the Metro Green Line 2 (Abbiategrasso direction) and get off at “Cadorna”. Here take the Metro Red Line 1 (Rho Fiera Milano direction). for the MICO – Milano Congressi, Gate 3 “viale Eginardo / viale Scarampo” entrance: get off at the “Amendola” stop – 700 m from the Congress Centre, or at “Lotto” approx. 800 m.
Here take the Metro Red Line 1 (Rho Fiera Milano direction). for the MICO – Milano Congressi, Gate 3 “viale Eginardo / viale Scarampo” entrance: get off at the “Amendola” stop – 700 m from the Congress Centre, or at “Lotto” approx. 800 m.
Here take Metro Lilac Line 5 (heading for San Siro) and get off at “Portello” stop. Exit the subway just a few feet walk from the MICO – Milano Congressi, Gate 3 “viale Eginardo / viale Scarampo” entrance. Taxis authorized to operate at Linate and Malpensa airports, on given routes, among which Milan Fairgrounds in Rho, apply fixed, all-inclusive fares (travel time, motorway tolls, nighttime and holiday/weekend surcharge).Please note that requests for intermediate stops make the application of fixed rates invalid. Get off at the “Portello” stop – 80 m from the Congress Centre. get off at the “Amendola” stop – 700 m from the Congress Centre, or at “Lotto” approx. 800 m.
Get off at “Cadorna”, take Red Line 1 (going to RHO Fiera Milano) and get off at the “Amendola” stop – 700 m from the Congress Centre, or at “Lotto” approx. 800 m.
Get off at “Duomo”, switch to the Red Line 1 (RHO Fiera Milano direction). Get off at the “Amendola” stop – 700 m from the Congress Centre, or at “Lotto” approx. 800 m.